What is Genie & Why Do You Need a Professional IT Company to Manage It? 21 Jan What is Genie & Why Do You Need a Professional IT Company to Manage It? Medical clinics have a great responsibility to their patients to not only make them well again but also protect their privacy. Medical records are incredibly confidential which means that reliable software and IT security are essential to ensure privacy and protection for every patient. On top of that, many businesses are on the lookout for medical staffing solutions that will improve the way they work. 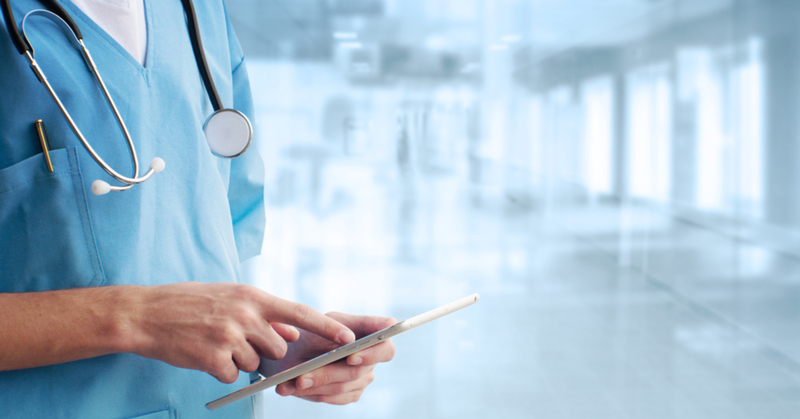 The medical industry’s reliance on technology in the 21st century also means that it’s imperative that IT networks are reliable and IT compliance requirements are met. In the event of a system failure, medical professionals must be back up and running as soon as possible because if they can’t access their files, they can’t provide the best service and support to their patients. If your medical practice needs to improve your IT security, uptime and best practice, it could be time to combine Genie, one of Australia’s best medical practice software systems, with an outsourced managed IT support team that has years of proven experience working with medical companies just like yours. 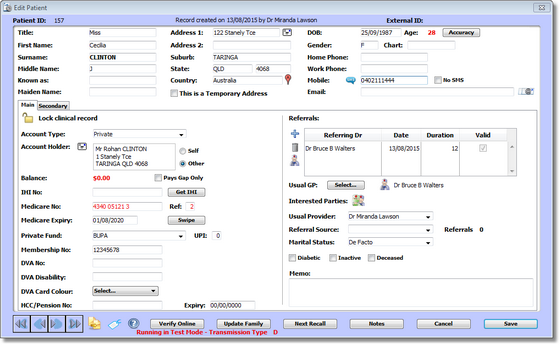 Genie is a medical practice management software system for doctors, specialist surgeons, plastic surgeons and other higher-level medical specialists, and is widely used in Australian medical practices. Originally built for Mac, but runs well on PC too, Genie is feature-packed with loads of tools that help reception staff, nurses and doctors alike to be more efficient in their jobs. Genie solutions is server-based, which means even if the internet goes down you’ll always have access to patient profiles and confidential information. Similar cloud-based systems like Cliniko have may have similar functionality to Genie but many rely on a permanent internet connection to work, which could become problematic if your connection goes down. The best medical management software integrates with other tools and systems to make record-keeping and daily record management easy and efficient. Genie integrates with Medicare which makes it easier for medical practitioners to remain compliant with Australian government policies and stay in the know with how their patients are cared for all over the country. Genie also integrates with over 10 encrypted messaging services, automatically importing them into the system and creating a new patient profile if needed. Encrypted messaging offers medical professionals a greater level of privacy and security, plus it’s quicker and more efficient for doctors to send messages when they’re on the go. Dictaphone, scanner and printer integration is also available which makes note-taking and patient profile upkeep much faster than the manual alternative. It doesn’t matter how great your record management software is; if you don’t have a great IT team supporting you, your systems are redundant. While Genie Solutions is the most popular practice management software in Australia, it does need someone who knows what they’re doing to manage it and ensure it’s running optimally. Tech Help Direct has worked with Genie medical software since the early days, so we’ve learned how the system works as it’s evolved over the last decade. We understand how different parts of Genie work together and connect to each other, and can customise the system to work for your medical company, not you for it. A medical practice might regularly use 20 computers. If their systems crash or their computers go down and all of their staff are left sitting around unable to make bookings or access files, a medical business could lose a lot of money due to that IT downtime. Tech Help Direct has the experience and accountability to ensure that your medical practice remains online, and if something does go wrong we’re committed to getting you back up and running as soon as possible. Ensuring you remain online starts long before you face the prospect of your systems crashing. We have lots of experience in setting up Genie solutions for a wide range of medical practices, so we understand your priorities and necessities. Security and privacy are obviously major priorities so we set systems up with these in mind in order to prevent your medical records from ending up in the wrong hands. If your systems do go down, it’s important that they get fixed immediately. We pride ourselves on our accessibility so if anything goes wrong, a managed medical business can contact us at any time and we’ll have them back up and running as soon as possible. Medical clinics that are serious about providing their patients with the best service possible and ensuring their IT uptime is optimal partner with IT teams who really know their stuff. 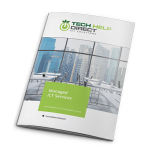 If you’re keen to take your medical practice software management serious, talk to the team at Tech Help Direct today.